Dates don’t stick in my brain. That’s why I always disliked history classes. The tests seemed to focus on memorization of lots of dates. I was at an instant disadvantage. I would have preferred that the instructors focused on the lessons we can learn from history. If that had been the case, I likely would have majored in history. I love to learn. I hate memorization. I was saying dates don’t stick in my brain. I can’t remember when I first decided that I would start a writers group. If I were to guess, I would say it was two years ago. About that time, I started attending writing workshops by mystery author Lauren Carr, hosted by different local libraries. In fact, it happened after the first Carr workshop, but before the second. At the second workshop is where I asked for anyone interested to give me his or her contact information. It took a bit of time to find a meeting place. I had a list of 25 names. I had no idea how many would actually show up. 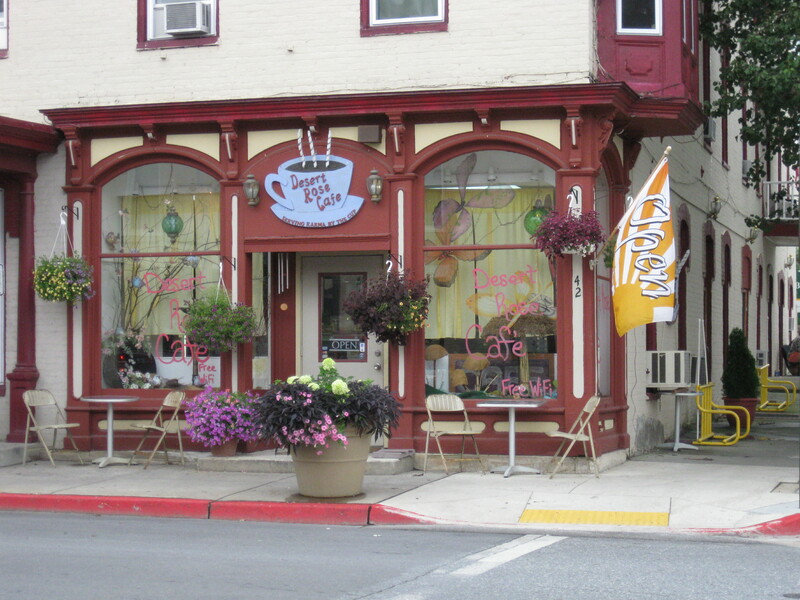 Rose Harris, owner of a local coffee-house in historic Williamsport, MD, was willing to let the group use her back room free of charge two times per month. The local library also had a meeting room, but it was in high demand. The writers group may have to compete for meeting dates. That was no good. Plus, the library felt sterile. The vibe at the Desert Rose Cafe was nurturing, creative, friendly. As an added bonus, “the eats” were good and inexpensive. It was the vibe that made the decision for me. Over time the group whittled down to a dozen, then ten regulars. The group was very diverse, from writing styles to personalities to topical interests. Yet we jelled. We shared work by reading aloud. We criticized (in a constructive way) and guided each other in developing our craft. We encouraged and inspired each other. The restaurant hosted a writing contest, posting short works from the group in the dining room, asking diners to read and vote on a winner. We all were winners, because, after the contest, we decided to put together the Anthology. We had faith we could create a collection of short works, edit them, compile them, then publish them in a period of about six months. With the professional assistance and coaching of Acorn Book Services in Harpers Ferry, WV, by December, 2012, the humble writers group–Writers of the Desert Rose Cafe–released its first e-book. The members range in age from 30 to 80-plus and live in a three state area. One member with Asperger’s Syndrome remarked that the release date of the e-book was one of the greatest days in his life. During the course of writing for the Anthology, he made a decision to move out of his parents’ home and into his own apartment, so he could enroll in college. He is currently working on a solo writing project. An administrator in the local library system called me a couple of days ago to express her surprise and joy that Writers of the Desert Rose Cafe had achieved its goal. She offered to help arrange publicity for the book through the local newspaper. In turn, I offered to promote the library workshops as wellsprings of creativity. Without the library’s workshop, the Anthology would never have been written. An idea led to a call to action and resulted in the creation and e-printing of a publication. A young man’s life changed. Others came to see that setting a goal and working on it faithfully yielded results. Several are working on new solo projects. A huge hug to A Writer’s Journey for the nicest plug for the anthology (by Writers of the Desert Rose Cafe). It would make my heart warm if you clicked on the link above. The Anthology is available through Amazon.com for your Kindle or Barnes & Noble for your Nook. It costs only $2.99 for more fun than a kindle of kittens. Clicking on the link takes you to the cover and a brief look inside the first few pages of the new Anthology. Coincidentally, my work appears first in the book, so it is my work that is open to be read as part of a free preview. Talk about pressure. If my work doesn’t nab a reader, then the rest of the authors may never get read. My work has to convince the site visitor to buy the book. We priced the book at an affordable $2.99 because we want many people to take the chance to buy the book, then read it. Remember, if you purchase a copy of the book and have constructive feedback for any of the authors, please share it here. The book is the first product of our writers group, reflecting our growing as writers. You, as reader, matter to us and we want to hear what you think, good or bad. Just make the critique constructive so an author can improve based on what you say. I got a phone call today from Acorn Book Service that the Anthology has been uploaded to Amazon.com. I don’t think the book is immediately available for sale. Rather, the internal processes inside Amazon.com get set into motion by uploading the manuscript. Similarly, the book will be uploaded to Barnes & Noble by next week. Smashwords, I’m told, is much more user friendly, so I will work with one of the other members to upload the manuscript to Smashwords ourselves. That will be a learning experience. Smashwords is a distributor to other e-book retail outlets. Amazon.com uses a .mobi file format. Barnes & Noble and Smashwords use .epub files. That is one of the services Acorn Book Services provides to the Writers of the Desert Rose Cafe, taking our .doc file and converting it to e-publishing-ready formats. Next comes the marketing learning curve. I will share with you how things progress. I’ll share what I learn and the mistakes I make. We’ll learn together about this thing called self-publishing via the e-book. Boy, have I missed you! 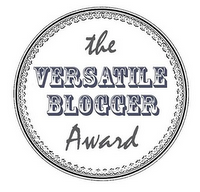 It’s been a hard couple of weeks, but today I am back to blogging about writing stuff. Check between now and Christmas for some helpful tips for your writing projects. Thanks for your patience. I’ll share a bit more of the personal stuff in the coming days, too. Now for some blatant self-promotion. The Writers of the Desert Rose Cafe Anthology continues its progress toward publication. The formatting is complete. It is time to do the final check: missing commas, too many spaces between lines, spelling. . .aaarrrgghh. I have to turnaround my stuff in short order so that Acorn Book Services can upload the book to Amazon.com. More to follow. 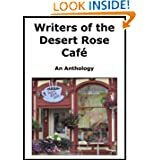 Within the week, the Writers of the Desert Rose Cafe Anthology will be in the hands of Acorn Book Services for formatting. Within the month, the e-book will be available for sale on Amazon.com. The anthology integrates the varied writing interests of the authors into a fast and easy read. There’s something for everyone: young adult to inspirational to fantasy to adult fiction to poetry to ultra-short story (such as 33- or 55-word stories). Whatever your tastes in reading, the anthology offers enough variety to satisfy. Sound like an advertisement? It is. Naturally, I hope you will read the anthology and share feedback with me. Your feedback helps the writers of Desert Rose Cafe to improve and grow. Criticism is welcomed when it is meant to help. The project itself drove several of the authors out of a comfort zone. Writing within a group setting is very different from writing alone. For a couple of the writers, the process of publication is a first experience. Others have years of creative expertise. One of our own developed the book cover with group input. Members assumed varying responsibilities such as editing, content organization, setting timelines and the like. The satisfaction of bringing the projection to completion is almost at hand. As an aside, one of our authors has Asperger’s Syndrome, a developmental disability that affects one’s ability to socialize and communicate effectively with others. Can you imagine the huge satisfaction that writer is feeling right now? Now the marketing begins, along with the next learning curve for some of us. When the e-book is available to purchase, I’ll share where to buy it. As I learn what works and what doesn’t on the marketing side of the venture, I’ll share those lessons, too. I received a couple of specific criticisms from the publisher on two of my pieces. However, I revised almost every story, including my biographical paragraph. After re-reading the pieces multiple times, I wanted to yank out several of my entries because now I hate them. I don’t want them published under my name. They aren’t perfect. They aren’t mature. They bore me. Some are pablum. Pablum suggests simplistic writing. I tell myself. “This is a first effort, so the stench of the amateur shouldn’t surprise anyone.” That’s my scared self speaking. I’m delighted that the editor suggested changes to improve stories. Consequently, there are two or three pieces I think deliver entertainment for the reader. Satisfactorily. Worth the price of admission. Maybe leaving the reader curious about what comes next from this author. And I grew. As an author. As a wordsmith. As a human being. As an experimenter. Striving to make something excellent is good, to a point. Sometimes a writer rewrites and rewrites, seeking perfection in a piece. But there does come a time to stop: stop reworking, stop criticizing, stop touching up. At that point, it’s time to publish and let the chips fall where they may. It’s time to face the music. Am I ready for the commercial press? Book buyers will vote. Readers will tell me. If my collection of work is a screw up, I hope a reader is brave enough to spell out specifics for me, not just the critique “I don’t like it.” It’s the “I don’t like it because. . .” that helps me improve the next time.